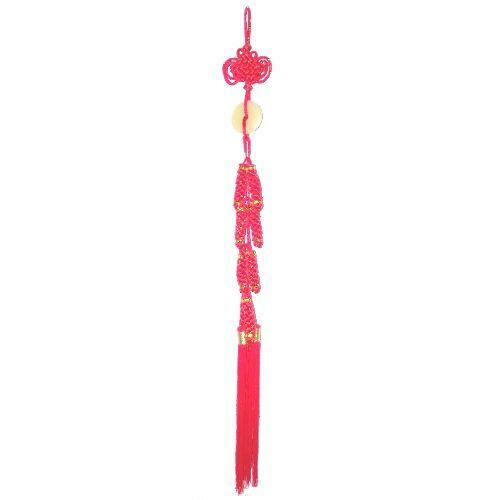 Large Chinese knotting's with imitation jade coin discs and firecrackers. This Chinese knot is designed for display during Chinese new year, and other important festivals. The Chinese believe that red firecrackers will ward off, or exorcise evil spirits, and can dispel negative energy.